Today we deployed a new release of Cryptotrader frontend (V0.11.0). In this version you can buy a custom amount of credits next to the fixed amounts (25,50 and 100). 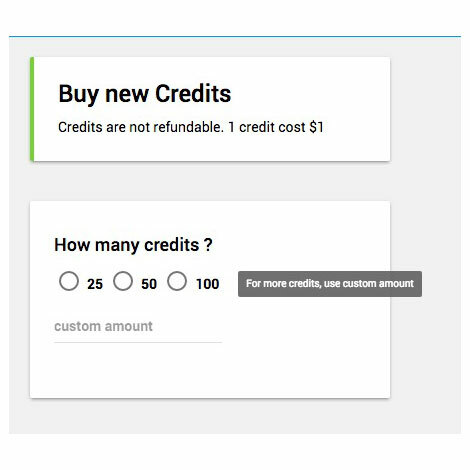 This is ideal when you want to buy a larger amount of credits.